Every instrument built by Vasilis receives his undivided attention and devotion to create an ideal sound experience that meets the player’s needs. The tonewoods he is using are of excellent quality, quarter sawn, carefully selected by specialized suppliers and certified, when needed, by special organizations, such as CITES. 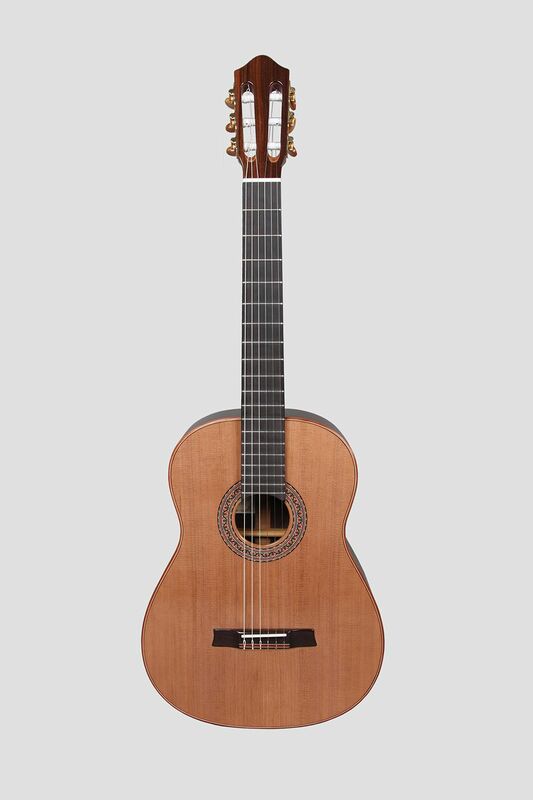 The guitars are finished in French polish of shellac in combination with natural resins and other synthetic oils, all applied by hand, resulting in instruments that are admired for their flawless classical beauty. For the construction of the top of the guitar, Vasilis uses lattice bracing from balsa wood and carbon fibres, or traditional methods of bracing in combination with double top technique using nomex lamination. 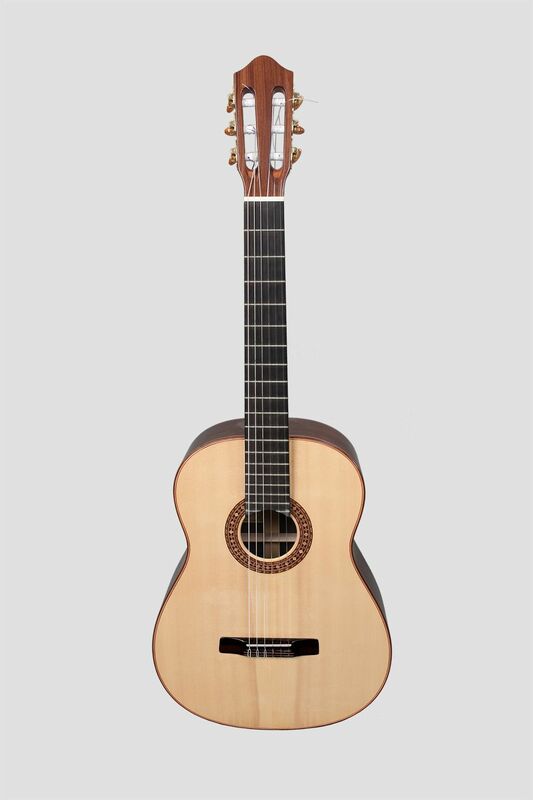 The tone balance and evenness in these models are achieved through resonance of the top and the back of the guitar. As a result, each guitar is handcrafted to the highest quality to ensure rich and robust sound, outstanding playability and exquisite finishing.